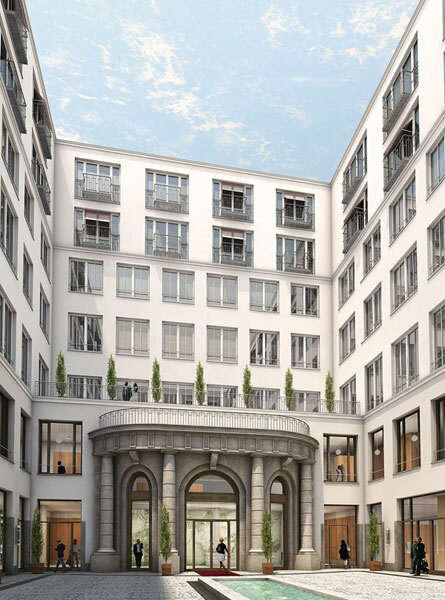 This exclusive business centre places us at the best address in Munich. Right on the prestigious Maximilianstrasse, this historical area will leave you impressed. We are proud to be in one of the most beautiful buildings in the city. Our centre recently opened earlier on in 2013 making it brand new. We offer flexible, fully furnished and equipped offices for both large and smaller companies with professional secretarial services as well as conferencing areas for up to 50 people in an unbeatable ambience. You and your clients will be greeted in a friendly and professional manner by the concierge of the building. Our building has been completely modernized while maintaining its old school charm by preserving the external walls.